Work on the $1 billion (over Rs 6,500 crore roughly) Chinese industrial park near Sanand in Gujarat is set to begin soon, China Development Bank (CDB) vice managing director Xiao Meng Zhen told the state government on Monday. In a meeting with Gujarat chief minister Anandiben Patel to discuss the project, Zhen briefed the state government about steps being taken by the bank for setting up of the park and investments. A memorandum of understanding (MoU) was signed for the industrial park between CDB and Gujarat government during the Vibrant Gujarat Summit 2015. 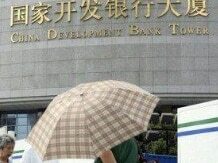 China Development Bank will invest $1 billion to set up industrial park near Sanand in Gujarat. The bank vice-managing director met Gujarat Chief Minister and other officials to discuss the project. According to an official communique by by Gujarat government, Chinese companies will be setting up their units in the upcoming park. Moreover, Gujarat government has also formed a high power committee headed by additional chief secretary - industry to boost the project. The bank too is actively working on this project, even as the ground breaking ceremony of this park is likely to be done within next three months.